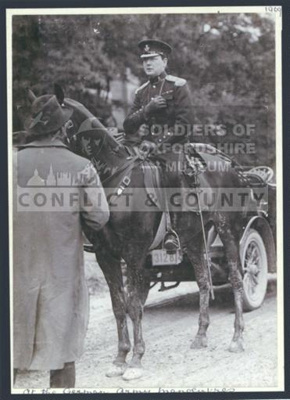 Name/TitlePhotograph of Winston Churchill on horseback in Yeomanry uniform. 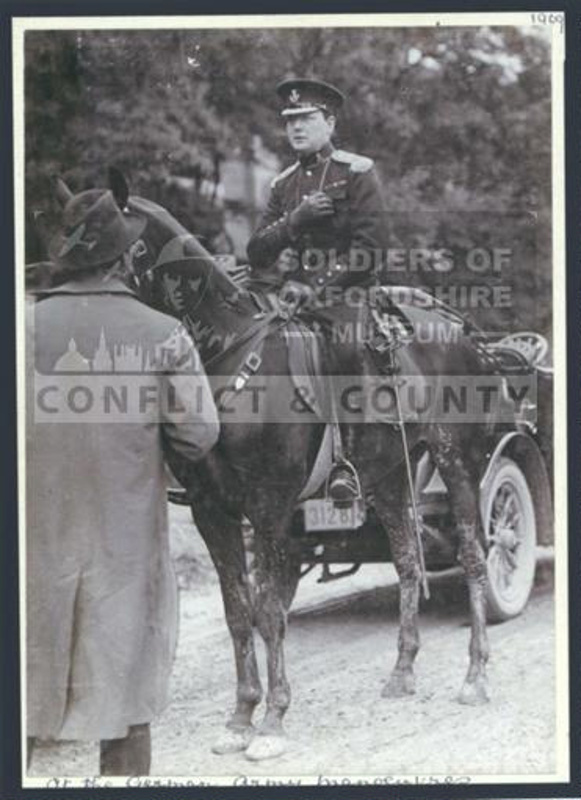 Captioned 'At the German Army Manoeuvres' and dated 1909. About this objectIn the autumn of 1909, Winston Churchill visited Germany to observe the German Army's manoeuvres with Kaiser Wilhelm II.